Number two in the “Whispers” short stories series by Lisa Unger, “The Burning Girl” is a highly charged follow-up the first story, “The Whispers.” Now, ten years after the events in the first story, Eloise has moved on from the devastating loss of her husband and one of her daughters, and she has learned to use her new-found gifts to help people. She has a partner and a business. But there’s one special vision that she can’t seem to help and can’t get rid of…the burning girl. 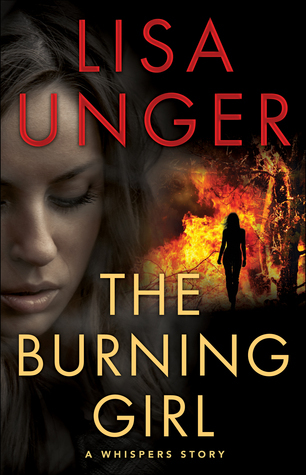 Unger’s writing is crisp and sharp and she certainly knows how to build a story. Whereas the first story worked on the reader’s emotions and we were caught up in Eloise’s tragedy, with a hint of a mystery ahead of us, this story is all about the mystery. Who is the burning girl and what is her connection to Eloise? I was definitely captivated by the story and Unger’s prose. However, the story didn’t finish as cleanly as the first one did. This definitely needs a resolution which isn’t in this work. And if that’s the case, why not publish it in a longer form — one that has a beginning, a middle and an end? The concept and the writing have me hooked and I look forward to seeing where this goes. Mystery and paranormal. This makes for an interesting combination. Looking for a good book? While not a ‘book,’ this story, part of a series, builds intrigue and will have you eager for more.